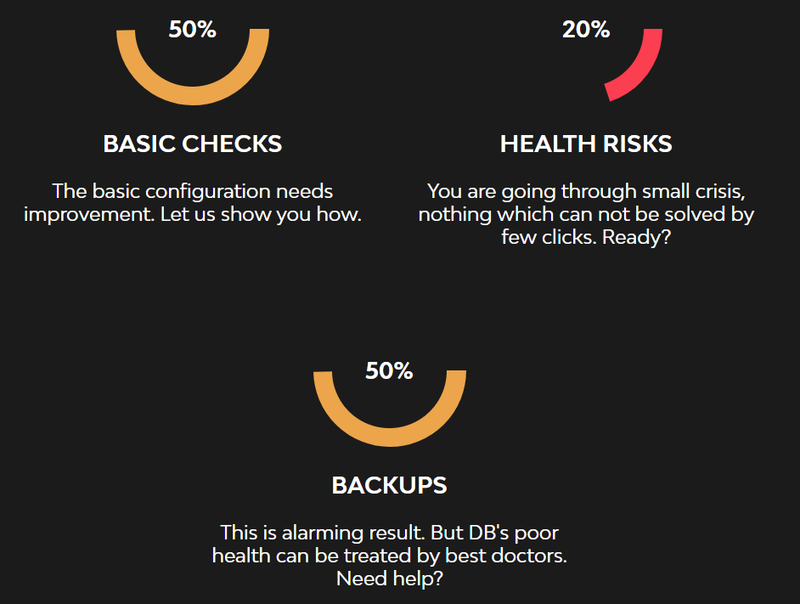 Our comprehensive Health Checks are the database equivalent of a check-up with an experienced and specialist doctor. 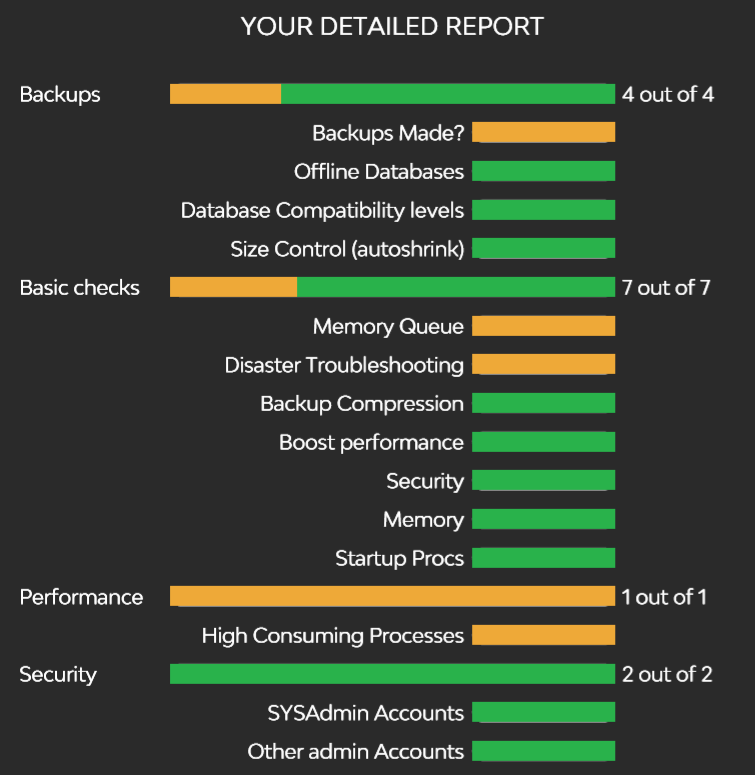 Our experts have seen – and solved – the problems you’re experiencing multiple times already. 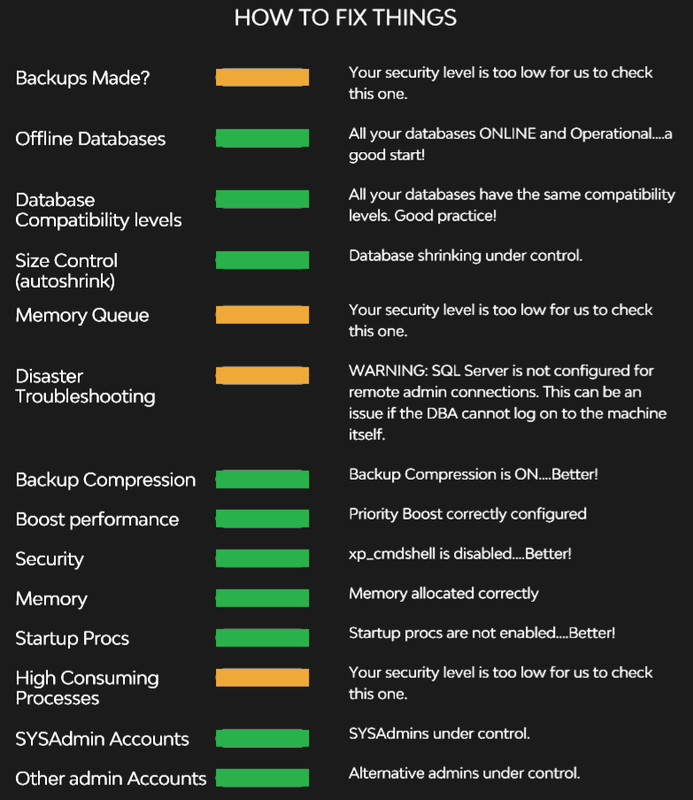 We will give you a detailed, best practice analysis of your SQL environment and flag potential issues before they cause problems or business disruption. Make no changes to your environment. Makes no changes to your system. We have a range of pricing packages to help you choose the Health Check that suits your needs.